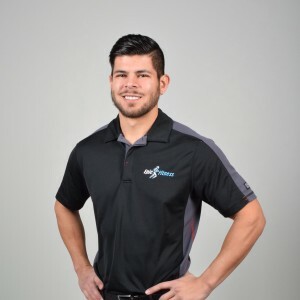 Michael is a graduate from Arizona State University’s Health Sciences program, and is currently pursuing his postgraduate degree at the University of Arizona in Biomedical Industries. Prior to his education, Michael served over 4 years as an active duty US Marine. He has achieved the maximum possible scores on the United States Marine Corps physical and combat fitness tests throughout his military career. He was also the team captain for physical fitness competitions, and nominated Gung Ho Marine on numerous occasions. Michael has been a part of the Epic Fitness team since 2013 as a personal trainer, incorporating his knowledge and experience from leading military fitness. He also utilized his knowledge from the Marine Corps to develop a civilian self-defense program.